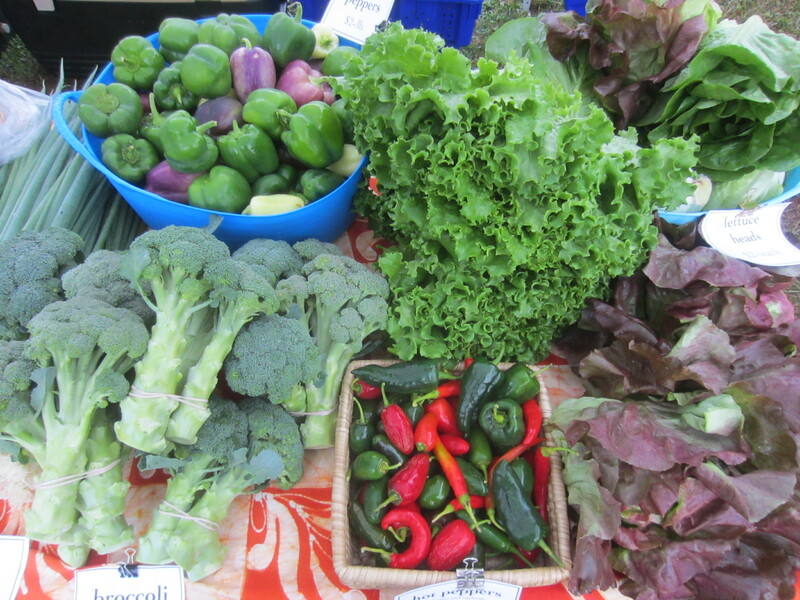 We’re finishing up our weekly market season here, only two weeks of the Saturday market left and five weeks remaining for our farm share program. 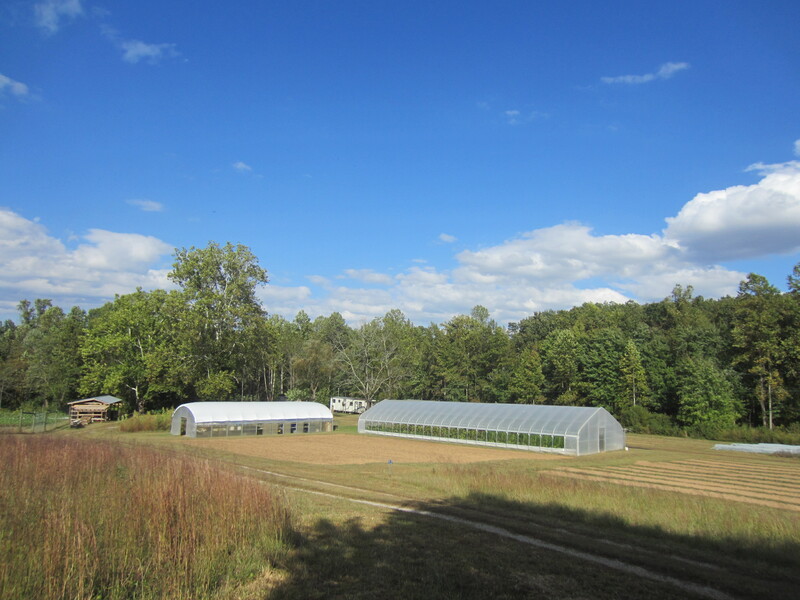 We look forward to shifting out of planting and harvest mode and into building and project mode. 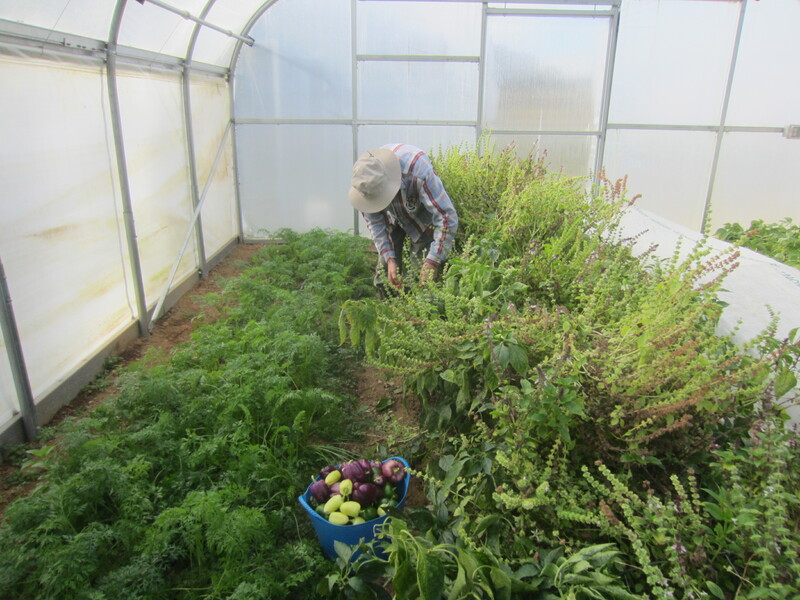 The planting and harvesting never really ends, as we grow year-round in the tunnels, but we do get a little respite with only a once-monthly winter market to provide for from November through April. Deer’s eye view of the garden. 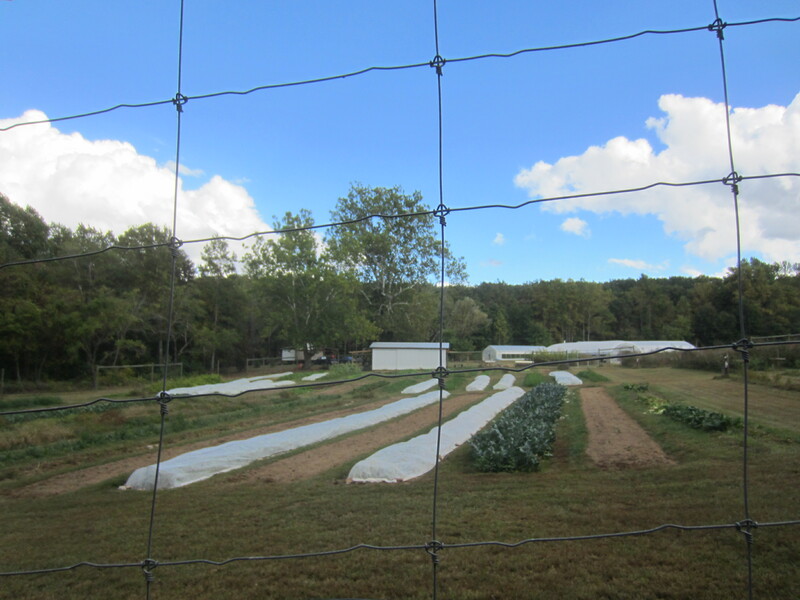 We hope to make this the view they see of the rest of our fields soon. Not that the deer have been a real problem for us, but it will be one less thing to worry about. Not to mention the effects a wandering cow could have on our crops. And our land is surrounded on three sides by cattle fields. This is the field we hope to fence this winter. Then we will slowly bring the land into production so we can rotate our crop fields on a very long-term rotation. 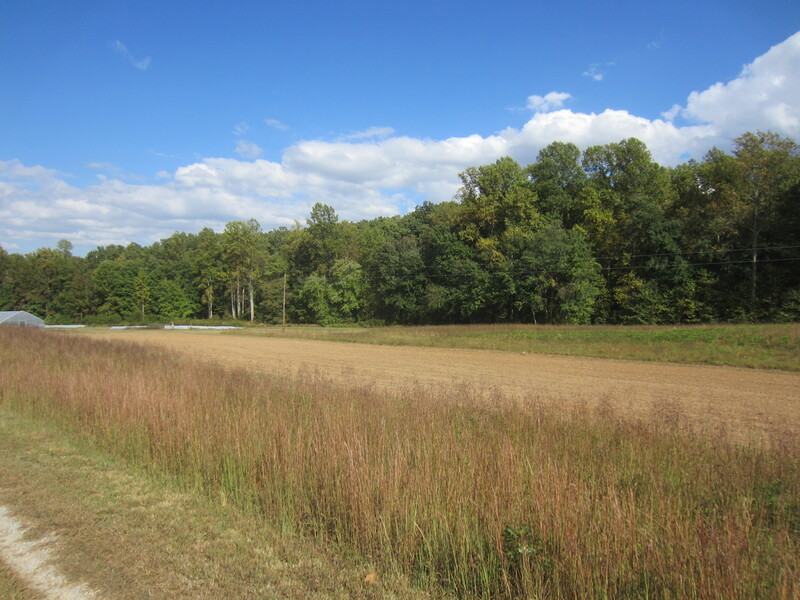 It will take many years to get the fields ready for planting due to the invasive weeds present. 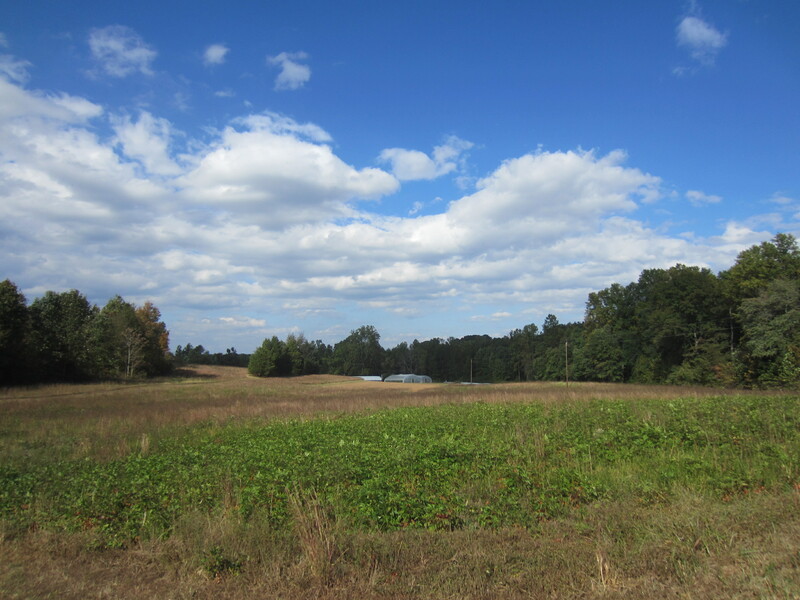 We are so grateful to have this acreage for expansion, rotation, and the production of fertility on our farm. We’re working towards sustainability here, and it is a slow process with the limited time we have available. This is the field we’ve been working on for the past year. Disced, seeded, and waiting on the rain. Other two fields seeded. The field between the two tunnels will be the site for future tunnels! We’ll cover-crop them for a few more years until we are ready to undertake the project (and cost) of more tunnels. After last winter’s push to get the other big tunnel up we need a break. This winter we’ll focus on building a walk-in cooler and fencing. 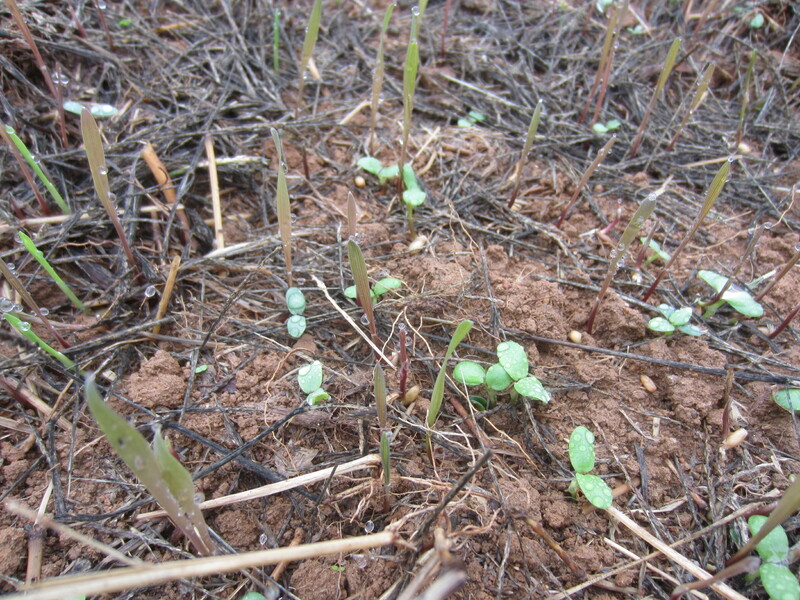 Rains came to the farm over the past few days, and our cover crop seeds have germinated! Crimson clover and rye here. Lots of crops to harvest now, before the F word happens here: frost. 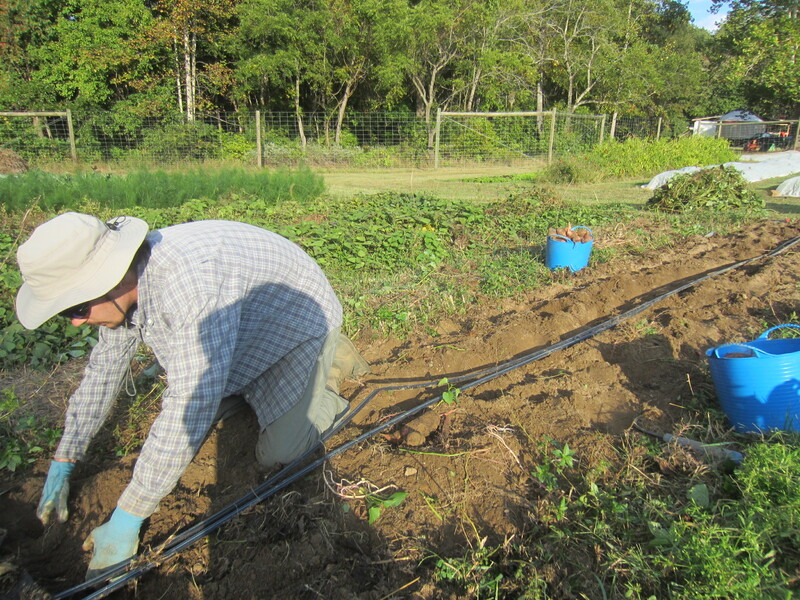 Time for digging sweet potatoes. We’ve dug a quarter of the patch and yields were not great. Not sure if we will grow sweet potatoes again! We’ve tried for three years without much success. 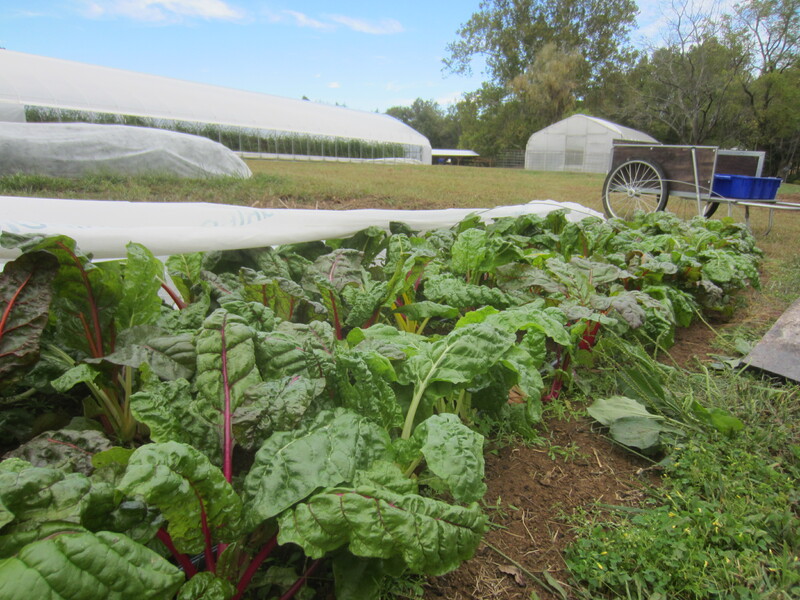 The fall chard is amazing! Still trying to perfect my celery seeding dates. 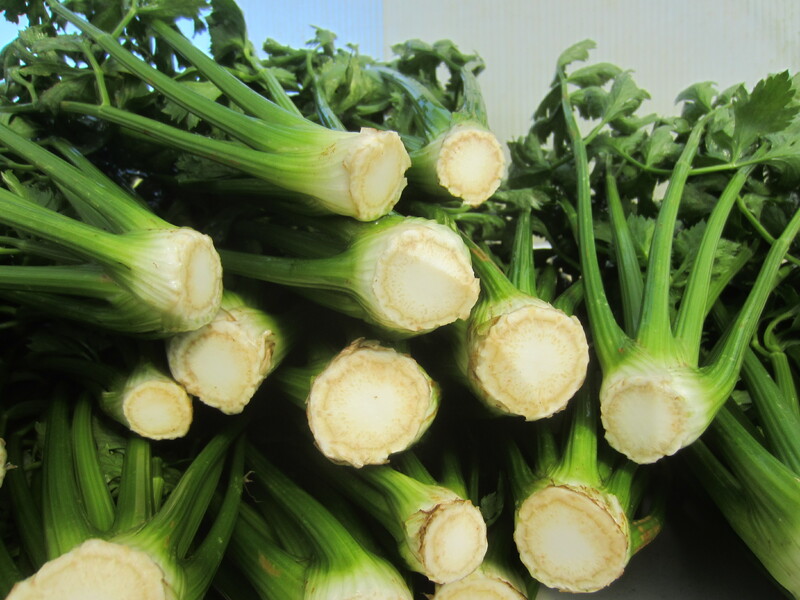 This batch struggled through the heat of the summer in the field… but the upcoming crop in the tunnel looks great. We should have lots on the market table for Thanksgiving stuffing! Clearing out a row of peppers in the little tunnel. Time for some stuffed peppers. Mmm. 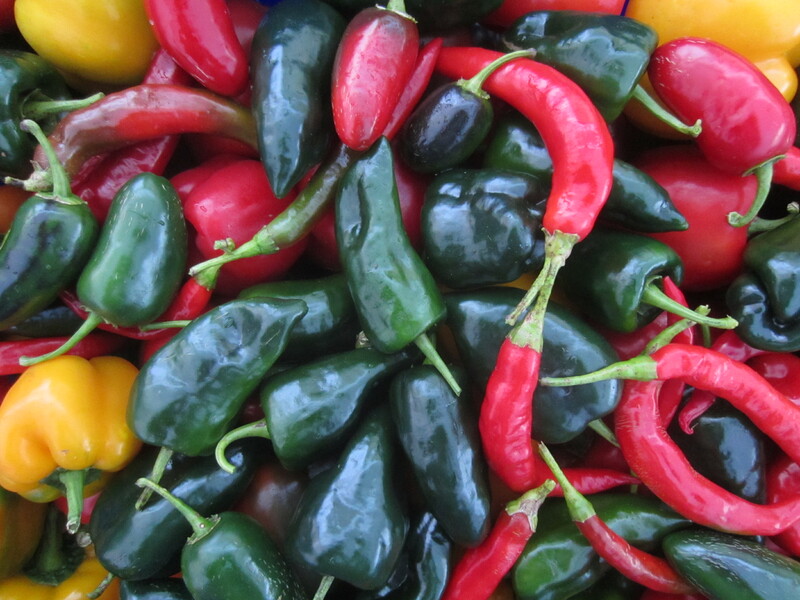 Poblanos, jalapenos, and cayenne peppers. I finally made a batch of cheese-stuffed bacon-wrapped hot peppers, after hearing from so many market customers how good they are. Yes, they were indeed delicious. 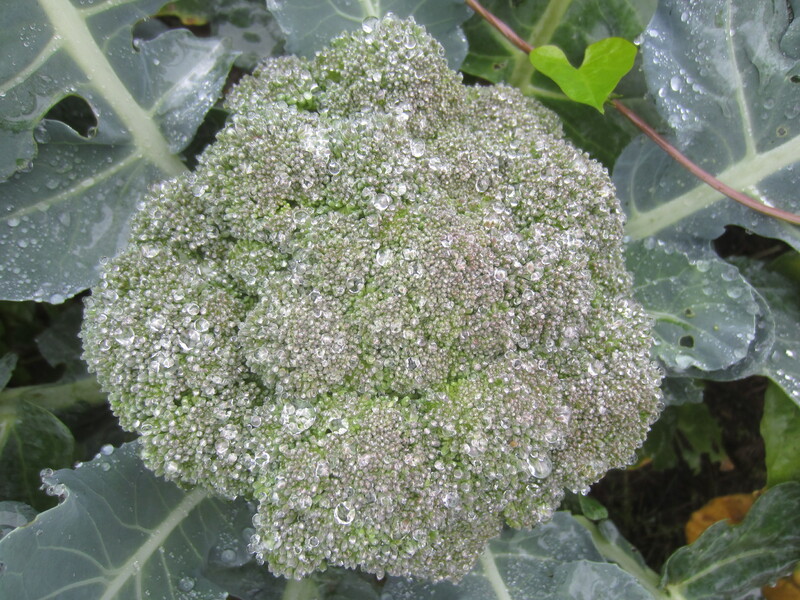 Fall broccoli lookin’ good. Despite the cabbage worms. They’ve really struggled with the heat and drought this fall. 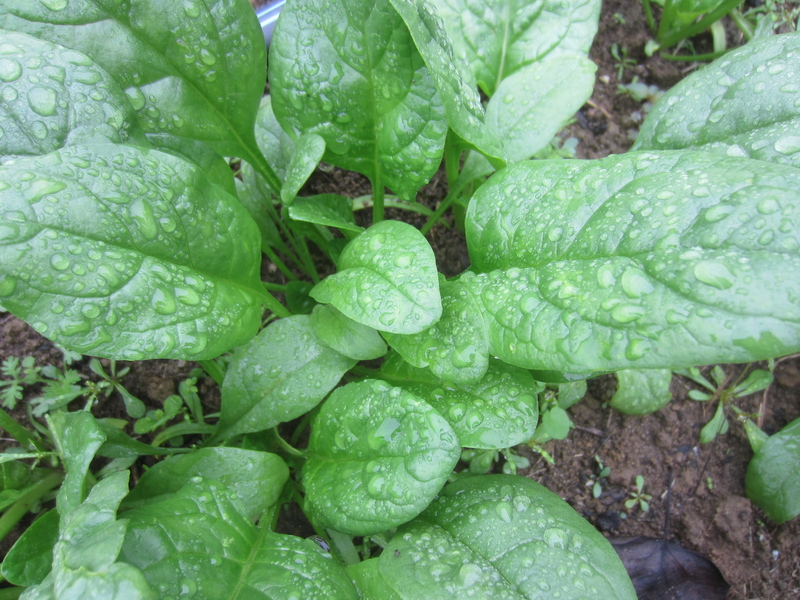 Spinach, finally growing well with some rain and cooler temps. 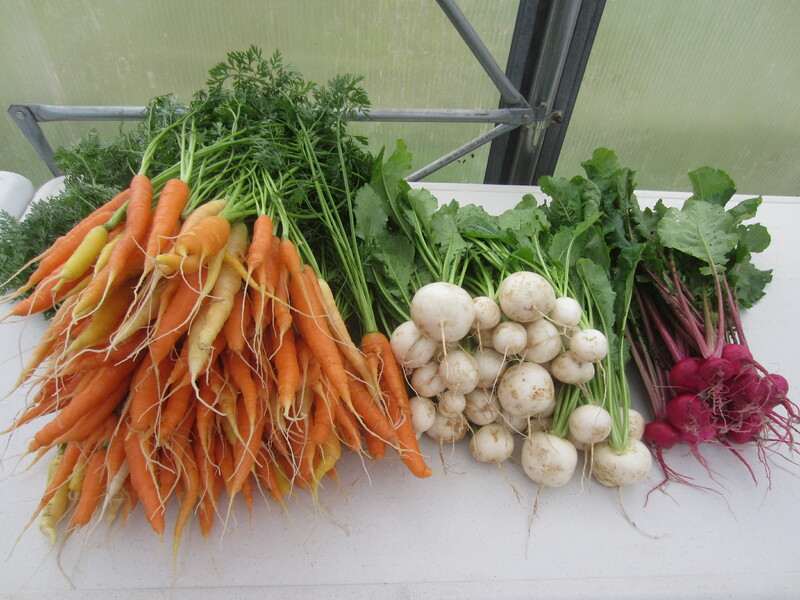 First fall carrot harvest, along with turnips. Made some ginger-carrot soup last night, yum: a match made in heaven. 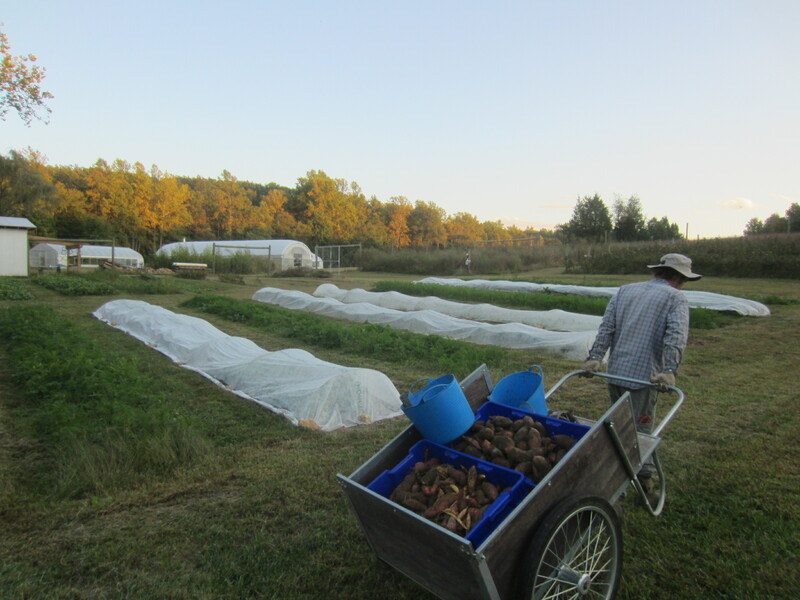 It’s a great time of year to enjoy the bounty of the crops we can grow here in Virginia. Great pictures! You are thinking and planning so far ahead. The concept of sustainability is solidifying for me after following your work…….the term is out there a lot but is only vague to me until now. Thanks for the education! Keep up the good (hard) work! Love it, actually. Everything looks amazing.